This site offers newsletter or email subscription services and cookies may be used to remember you if you are already registered. Cookies may also be used to determine whether to show certain notifications which might only be valid to subscribed/unsubscribed users. 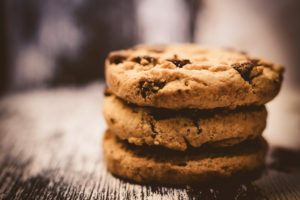 When you submit data to through a form such as those found on contact or sign up pages, cookies may be set to remember your user details for future correspondence. This site uses Google Analytics, which is one of the most widespread and trusted analytics solution on the web. This helps us to understand how you use the site and to identify how we can improve your experience. These cookies may track things such as how long you spend on the site and the pages that you visit. From time to time, we test new features and make subtle changes to the way that the site is delivered. While we test new features, these cookies may be used to ensure that you receive a consistent experience whilst on the site. They also help us to understand which optimisations our users appreciate the most. We hope this has clarified our site’s cookie use for you. However, if you are still looking for more information then you can contact us through one of our preferred contact methods.